Stay in sync with your constantly changing schedule and maintain your productivity goals. 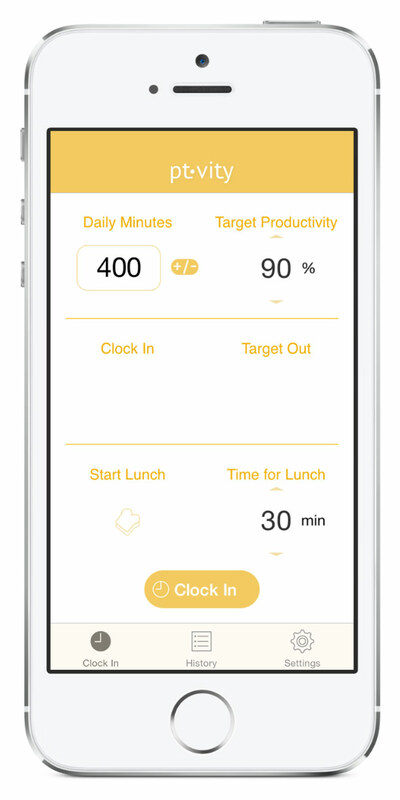 Enter your assigned minutes and target productivity and let Pt∙vity calculate your target clock out time. 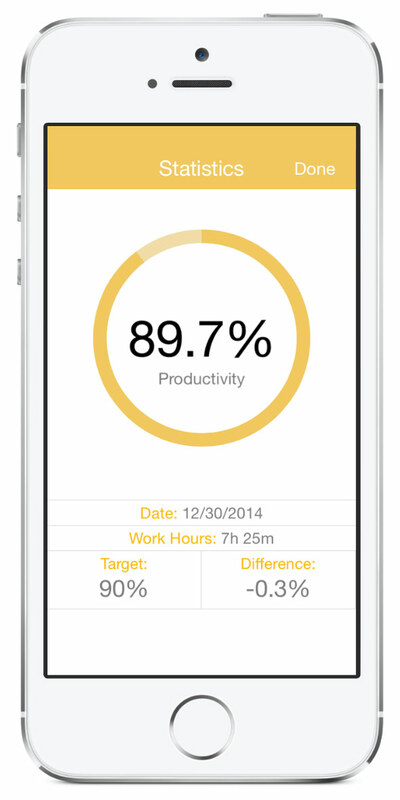 Easily add or subtract from your assigned minutes or enter a new value directly, at any time of the day. Pt∙vity will always keep your target clock out time updated. It's hard to keep track of time when you're busy. Don't let that keep you from maintaining your productivity. 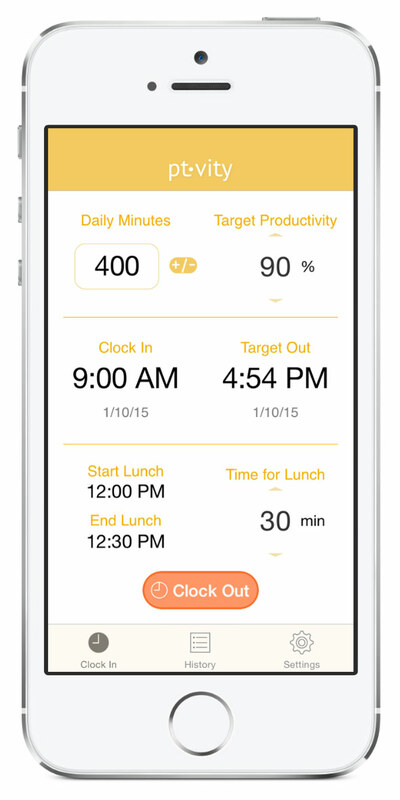 Pt∙vity can send you a notification when it is time to clock out or come back from lunch. Track, edit and add new shifts. 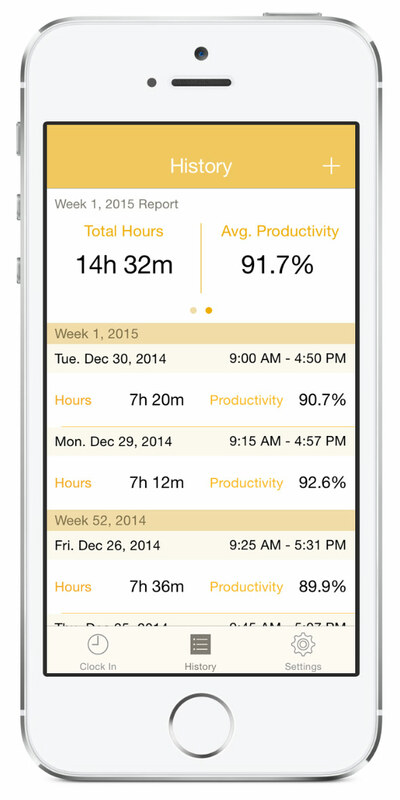 Find out your total hours worked and average productivity for the week or month. Sync and backup your data to iCloud.